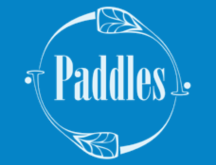 Don’t let your paddle beat up your board, outrigger or ski! Railsaver PRO goes on smooth and clear, making it nearly undetectable, and because it’s so thin there is zero drag in the water! Railsaver PRO also available in bulk. Perfect for protecting Ouriggers, SUP and Ski’s from paddle strikes…Protect your Asset!! Note: Puka Rail tape is sold per metre.